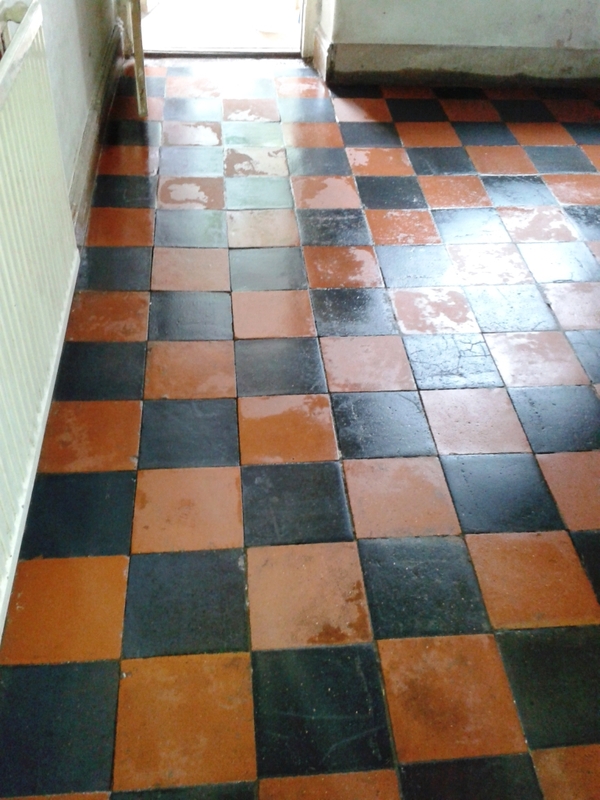 The photographs below of a Red and Black Victorian Quarry tiled floor were taken at a 109 year old cottage in the town of Telford. 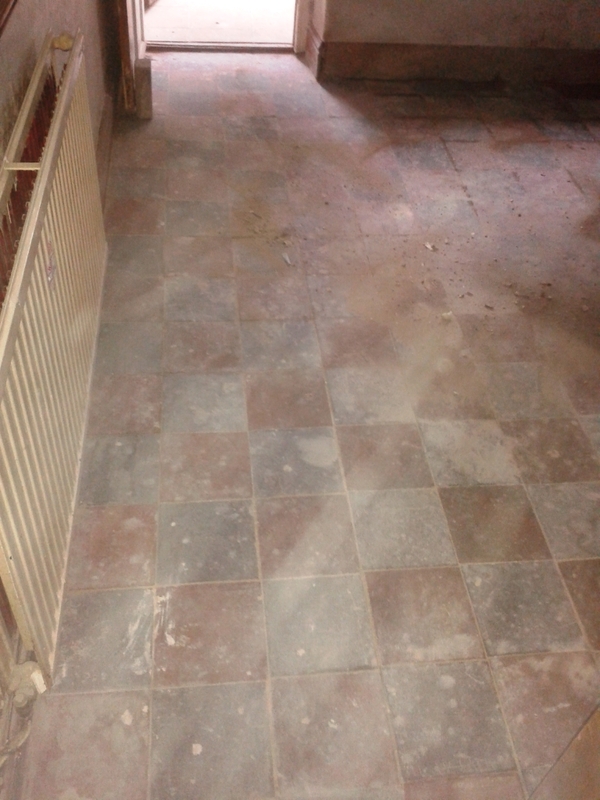 Unfortunately the tiles were in a really neglected state after the completion of building works but we do like a challenge and agreed to do the work. The whole floor was covered in layers of mortar and plaster so a strong solution of Tile Doctor Remove and Go was applied and scrubbed into the floor using a rotary machine fitted with a black scrubbing pad. The initial clean revealed a lot more of the mess that had been left over from the builders mixing of mortar and concrete so I decided to try an acid based product called Tile Doctor Grout Clean-Up which is mainly used for the removal of grout from the tile surface but works on other cementitious materials as well. 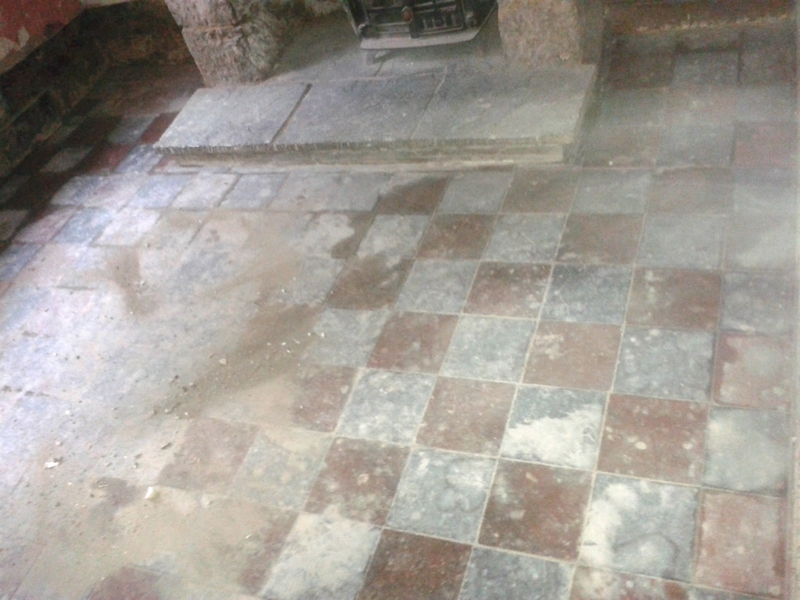 This worked well but required several applications to remove it all and once complete the floor was given a thorough rinse with clean water to ensure it was clear of the resultant slurry and there was no trace of cleaning product. A wet vacuum was used to remove the water from the floor and get it dry so it could be sealed. Once the floor was dry I sealed it using two coats of Tile Doctor Colour Grow which was chosen as the customer wanted a matt finish; Colour Grow also brings out the colours in the tile and it’s an impregnating sealer that occupies the pores in the tile to provide excellent stain protection. I think you will agree the photographs below shows an amazing transformation that exceeded all expectations. 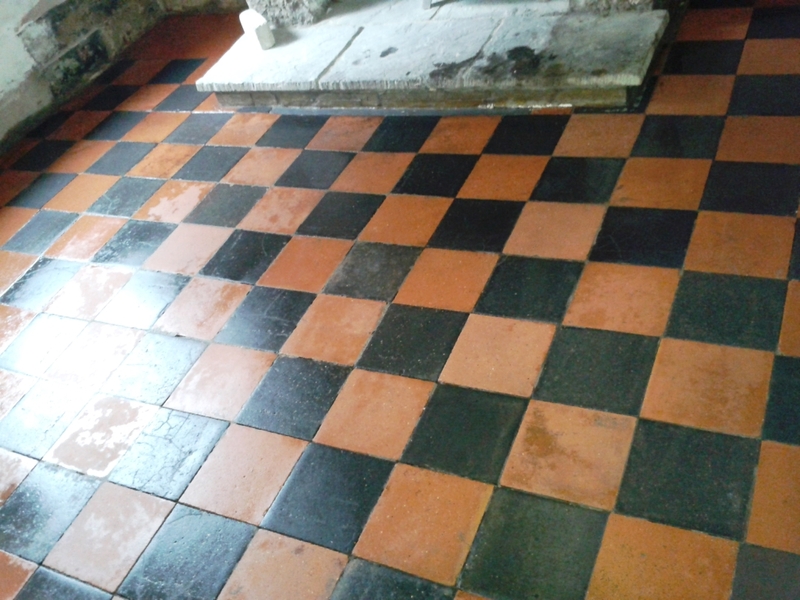 This entry was posted in Work History and tagged cleaning quarry tiles, cleaning services, floor restoration, sealing quarry tiles, shropshire, telford, tile cleaning, tile maintenance, tiled floor, victorian quarry floor by AbzDominise. Bookmark the permalink. Amazing transformation, you must of put a lot of work into that.